A three-year excavation became a three-decade investigation into the behavioral origin of our species. 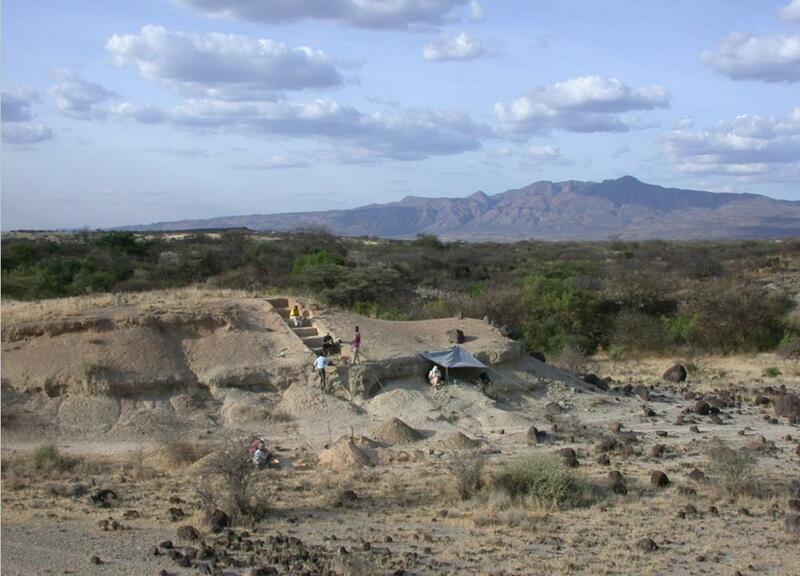 In 1985, I began to investigate an early human archeological site in the rift valley of southern Kenya. Olorgesailie had been textbook material since the 1940s when the famed paleoanthropologists Louis and Mary Leakey discovered thousands of large handaxes there, evidence of the most persistent stone technology of the Pleistocene. I figured three years maximum should document the dispersion of stone handaxes and associated fossil animals across this 65-km2 sedimentary basin. The game changer was single-crystal 40Ar/39Ar dating, which by our third year indicated that Olorgesailie encompasses the past 1.2 million years of time. My team is now in its third decade of research at the site. Precise chronology meant that we could study the fine details of any major benchmarks in early hominin behavior we might uncover as well as changes in adaptive setting. On March 15, 2018, our team of 24 coauthors published three papers online in Science (print issue April 6), which offer evidence of the earliest known tool innovation, long-distance exchange of valuable stone, and the use of red and black pigments, along with the geological, faunal, and vegetational settings in which these substantive shifts in our evolutionary history took place. 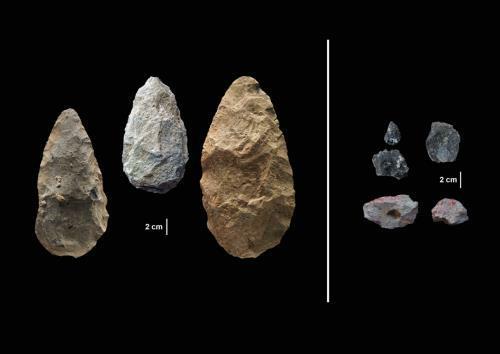 The research papers show that, between 500,000 and 320,000 years ago, the long-enduring handaxe technology, which persisted at Olorgesailie for 700,000 years, was replaced by smaller, more carefully shaped tools and behaviors typically associated with the oldest known Homo sapiens. The new technology, known as the Middle Stone Age (MSA), included small triangular points modified to fit into the ends of shafts. The emergence of this potential for projectile weapons was ultimately important in the development of hunting. Most of these projectile points were made from obsidian, the sharpest known stone. 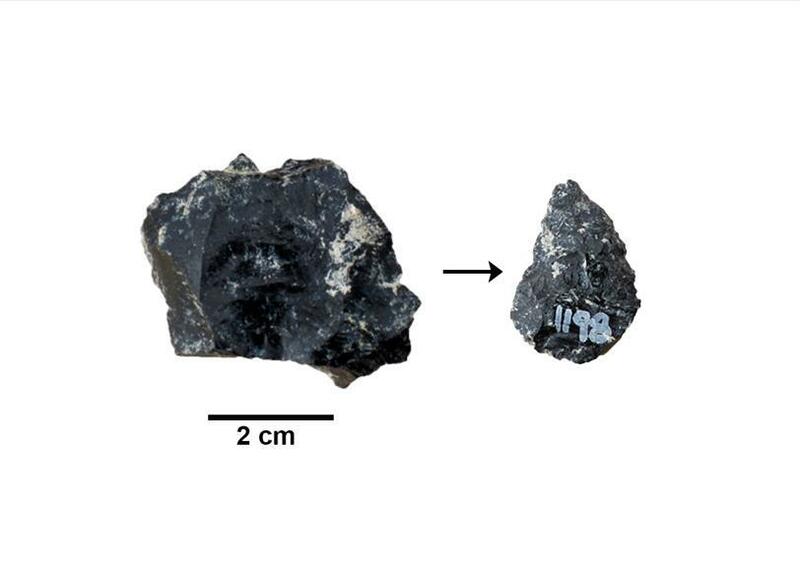 In contrast with handaxes, where the raw materials originated from sources within sight, at most 5 km away, the MSA obsidian at Olorgesailie came from multiple directions up to 95 km away. An individual or group walking such terrain would have chipped the valued obsidian down to tiny fragments. Yet the quantities at Olorgesailie MSA sites were sometimes enormous, leading us to realize that obsidian must have been conserved and transferred by hand from group to group – the oldest hint of an expanded social network. To sustain such familiarity and linkages across distant groups, we hypothesized that symbolic communication – probably language – was essential. Indeed, using the kinds of pigments we unearthed is often considered the foundation of complex symbolic activity; just think of all the ways we use color – in clothing, tattoos, and other markers of individual and social identity. These developments emerged as faulting and climate variability were amplified in the region, a survival setting that favored wider movement, awareness of an expanded social universe, and other means of adaptability in our forebears. This package of evidence, therefore, points to the origin of human behavior much as we know it in Homo sapiens. Innovation, social networking, and complex symbolic behavior occurred at the very outset of our species’ unique journey. 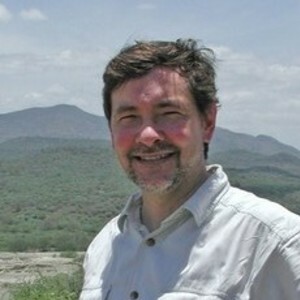 Research at Olorgesailie is a collaborative project of the Smithsonian Institution’s Human Origins Program (U.S.A.) and the National Museums of Kenya. Principal collaborators include Drs. Kay Behrensmeyer, Alison Brooks, Alan Deino, Rahab Kinyanjui, and John Yellen. The research is supported by the Peter Buck Fund for Human Origins Research (Smithsonian).